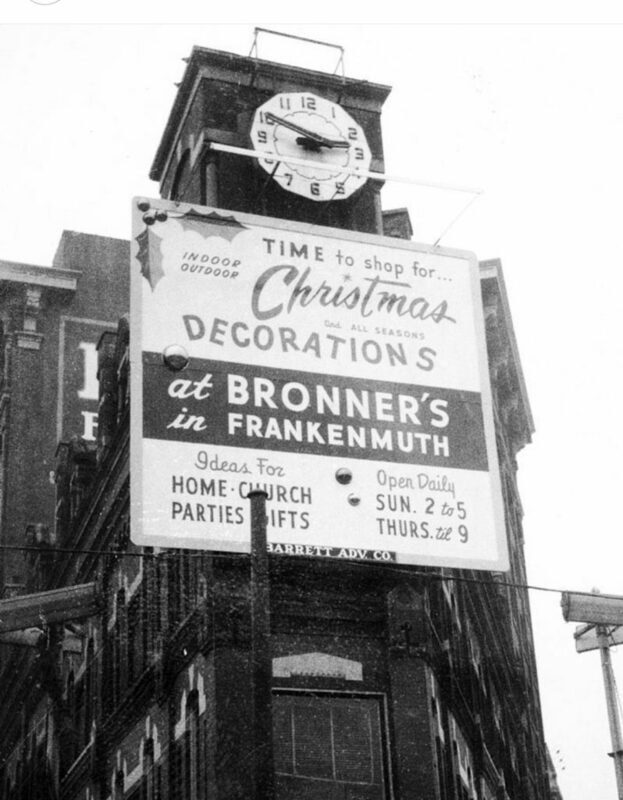 I came across this old photo of a sign for Bronner’s on the old clock tower building. The triangle shape building stood on Genesee in front of the Feige building. 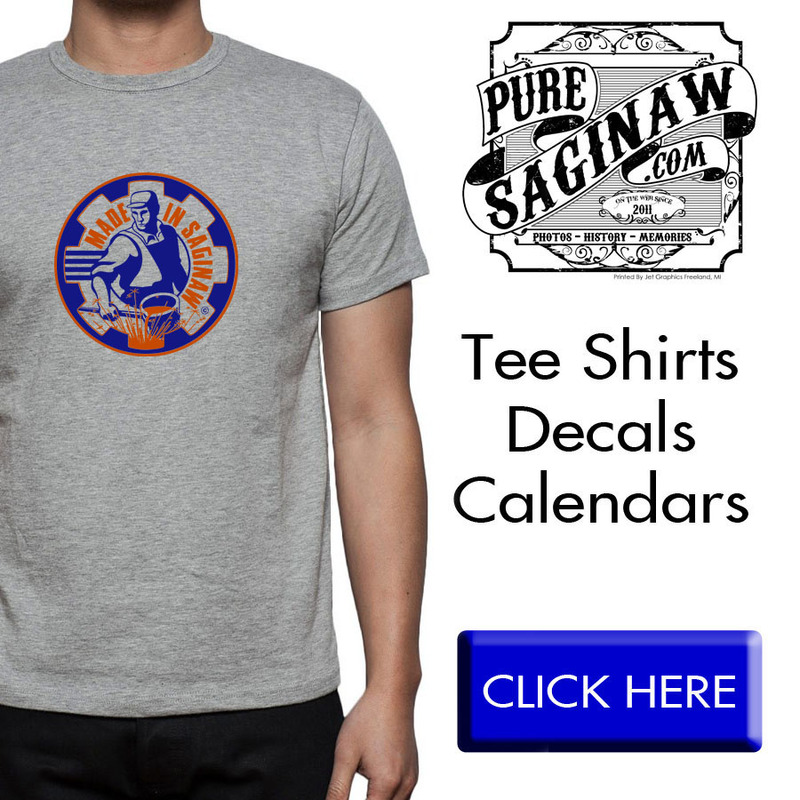 growing up in Saginaw it’s always been a tradition to go out to Bronner’s and then get a chicken dinner. P.S. I have seen that TV show where they crown a winner for the best Christmas lights, I am not sure how holiday lights became a competition but as far as I am concerned Wally Bronner has them all beat.